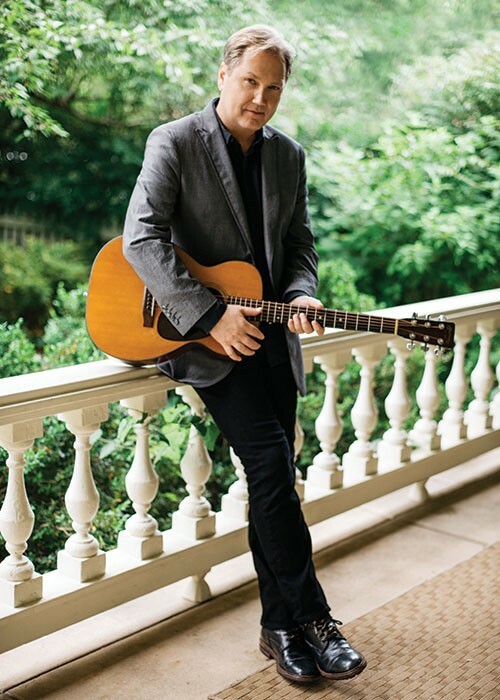 Twenty albums and five decades into his career, Nashville-based guitarist, songwriter and Grammy Award–winning country music veteran Steve Wariner is making the most of his freedom to tour the globe and make music the way he wants. "I'm in a place now in my career and life where I just kind of do what makes me smile and makes me happy," Wariner says. "I would never get away with some of the things I record and do on albums now 10 or 15 years ago when I was on major labels." Though Wariner is not on the radio as much as he was when he scored number one hits on Billboard's Hot Country Chart for tunes like 1987's "Small Town Girl" or 1998's "What If I Said" alongside Anita Cochran, he says he savors being able to write and play a diverse blend of country, bluegrass, soul and pop; all of which were featured on 2016's All Over the Map. "It seems like people really enjoy what I'm doing," he says. "And I love the freedom to be the captain of my own ship, so to speak." All Over the Map features 10 originals and five instrumentals, and over the album's dozen tracks, Wariner stylistically diverts down several alleys of folk and roots music, and he welcomes several guest artists along for the ride, including Rock & Roll Hall of Fame guitarist Duane Eddy, former Allman Brothers guitarist Jack Pearson and longtime friend and mandolin master Ricky Skaggs. The late Merle Haggard even makes an appearance, as Wariner revisits a song he and Haggard co-wrote in 1996 called, "When I Still Mattered To You." "I've enjoyed all kinds of music through my personal life," says Wariner. "I get that love from my father. His record collection was all over the place. This album turned out to be a reflection of all the things I love." Wariner is able to record in his Nashville-area home studio, dubbed "Twangra-La," and compares the process of making a record to a mad scientist in a laboratory. "I probably get a little more self-indulgent than I should. I get carried away. But it sure is fun." Wariner heads to the North Bay for a solo show on May 20, at Sweetwater Music Hall in Mill Valley. He promises to tell the stories of his songs, and his career, as he works through his set-list. Steve Wariner performs on Sunday, May 20, at Sweetwater Music Hall, 19 Corte Madera Ave, Mill Valley. 8pm. $37-$42. 415.388.3850.